Amber color. 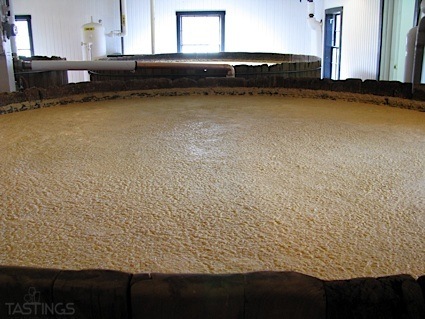 Boozy aromas of marzipan, grenadine, golden raisins, mixed peppercorns, cinnamon crumble, jasmine tea, and rum cake with a silky, dry-yet-fruity light-to-medium body and a hot, medium-length espresso bean, burnt sugar, tobacco, Thai peanut noodles, and eucalyptus finish. A playful Taiwanese whiskey that will add a twist to classic rum cocktails. Bottom Line: A playful Taiwanese whiskey that will add a twist to classic rum cocktails. 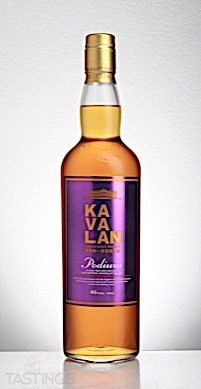 Kavalan Podium Single Malt Whisky rating was calculated by tastings.com to be 88 points out of 100 on 7/23/2018. Please note that MSRP may have changed since the date of our review.